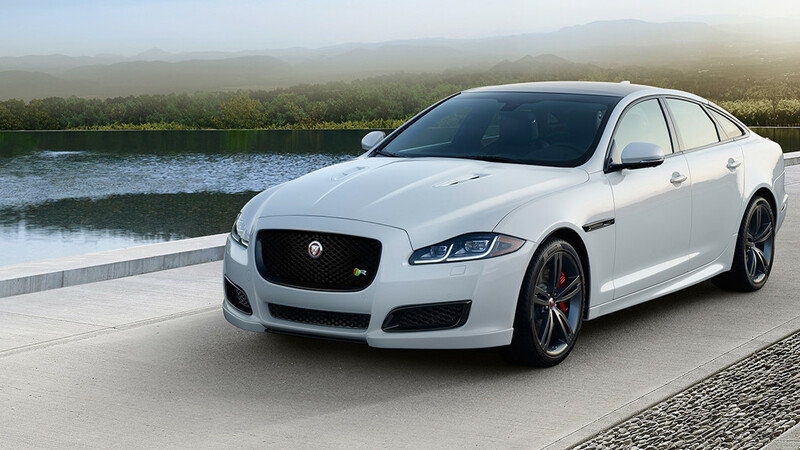 When you’re looking for a new Jaguar in Darien, you want to ensure that you’re getting the best deal possible. And when you rely on the new vehicle specials at Jaguar Darien, you can be confident that you are. Thanks to our rotating Jaguar deals, you can get behind the wheel of that new Jaguar XE you’ve had your eye on for a price you can feel good about. Once you’ve browsed our online inventory, it’s time to meet your match in person! Contact us today, or simply visit our dealership near Greenwich to view our Jaguar specials in Darien – you won’t be disappointed. 0% APR FINANCE SPECIAL NEW 2019 JAGUAR XE 25T PREMIUM AWD! *Eligible for financing at the APR shown for well-qualified buyers as determined by approved lender. Payments per month per $1,000 financed, regardless of amount of down payment, can be as low as $16.67 at 0% for 60 months. All amounts shown are estimates. Not compatible with other customer credit offers or incentives. Taxes, title, license and fees excluded. Residency restrictions apply. Available to qualified customers. See dealer for details. Photos for illustrative purpose only. Offer expires 4/30/19. LEASE SPECIAL NEW 2019 JAGUAR XE 25T AWD - ONLY 3 AVAILABLE! *Lease on 2019 Jaguar XE 25T Premium AWD well equipped for 36 months. VIN#KCP46336 MSRP $49,487. Inception cost of $3999 with no security deposit due at signing, excludes 1st payment of $329, negotiable conveyancing fee of $499, bank acquisition fee of $895, taxes and registration fees. 10,000 mi/yr. Residual $26,722.98. Available to qualified customers. See dealer for details. Photos for illustrative purpose only. Offer expires 4/30/19. Applies to KCP46336, KCP46478 and KCP45410 only. LOANER 0% APR FINANCE SPECIAL 2019 JAGUAR F-PACE 25T Premium AWD - Limited Availability! *Eligible for financing at the APR shown for well-qualified buyers as determined by approved lender. Payments per month per $1,000 financed, regardless of amount of down payment, can be as low as $16.67 at 0% for 60 months. All amounts shown are estimates. Eligible customers will receive a $1,000 customer credit against the price of subject vehicle negotiated with retailer at signing. Not compatible with other customer credit offers or incentives. Taxes, title, license and fees excluded. Residency restrictions apply. Available to qualified customers. See dealer for details. Photos for illustrative purpose only. Offer expires 4/30/19. LOANER LEASE SPECIAL 2019 JAGUAR F-PACE 25T Premium AWD – Only 2 Available! *Lease on 2019 Jaguar F-PACE 25T Premium AWD well equipped for 36 months. VIN#KA360685 MSRP $55,606. Inception cost of $3999 with no security deposit due at signing, excludes 1st payment of $389, negotiable conveyancing fee of $499, bank acquisition fee of $895, taxes and registration fees. 10,000 mi/yr. Residual $28,615.12. Available to qualified customers. See dealer for details. Photos for illustrative purpose only. Offer expires 4/30/19. Applies to KA360685 and KA355908 only. *Eligible for financing at the APR shown for well-qualified buyers as determined by approved lender. Payments per month per $1,000 financed, regardless of amount of down payment, can be as low as $16.67 at 0% for 60 months. All amounts shown are estimates. Eligible customers will receive $1,000 customer credit against the price of subject vehicle negotiated with retailer at signing. Not compatible with other customer credit offers or incentives. Tax, title, license and fees excluded. Residency restrictions apply. See dealer for details. Photos for illustrative purpose only. Offer expires 4/30/19. LEASE SPECIAL NEW 2019 JAGUAR E-PACE P250 AWD – Only 1 Available! *Lease on 2019 Jaguar E-PACE S P250 AWD well equipped for 36 months. VIN#K1Z36433 MSRP $51,582. Inception cost of $3999 with no security deposit due at signing, excludes 1st payment of $399, negotiable conveyancing fee of $499, bank acquisition fee of $895, taxes and registration fees. 10,000 mi/yr. Residual $28,885.92. Available to qualified customers. See dealer for details. Photos for illustrative purpose only. Offer expires 4/30/19. LOANER 0% APR FINANCE SPECIAL 2019 JAGUAR F-PACE 30T Portfolio AWD – Limited Availability! 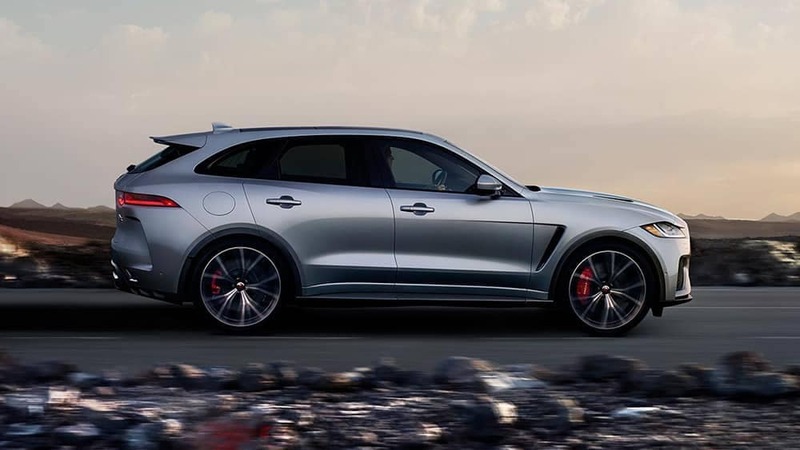 LOANER LEASE SPECIAL 2019 JAGUAR F-PACE 30T Portfolio AWD – Only 4 Available! *Lease on 2019 Jaguar F-PACE 30T Portfolio AWD well equipped for 36 months. VIN#KA351943 MSRP $67,343. Inception cost of $3999 with no security deposit due at signing, excludes 1st payment of $449, negotiable conveyancing fee of $499, bank acquisition fee of $895, taxes and registration fees. 10,000 mi/yr. Residual $33,371.50. Available to qualified customers. See dealer for details. Photos for illustrative purpose only. Offer expires 4/30/19. Applies to KA351943, KA367481, KA361996 and KA359008 only. LEASE SPECIAL NEW 2019 JAGUAR XF 25T PREMIUM AWD - ONLY 1 AVAILABLE! 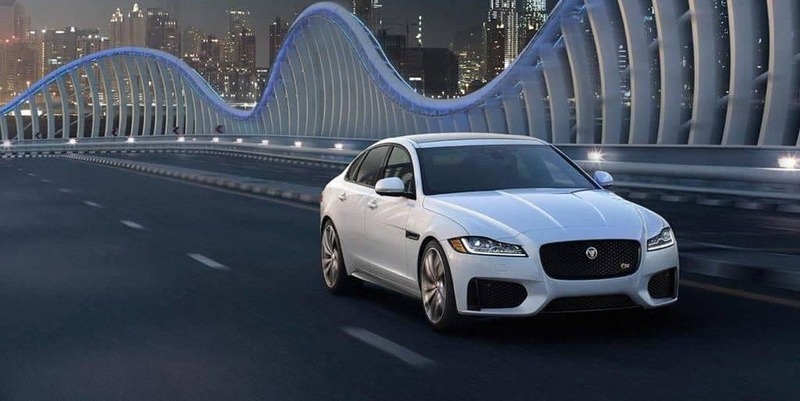 *Lease on 2019 Jaguar XF 25T Premium AWD well equipped for 36 months. VIN#KCY81169 MSRP $58,976. Inception cost of $3999 with no security deposit due at signing, excludes 1st payment of $599, negotiable conveyancing fee of $499, bank acquisition fee of $895, taxes and registration fees. Allowance Credit applied as cap cost reduction. 10,000 mi/yr. Residual $25,949.44. Available to qualified customers. See dealer for details. Photos for illustrative purpose only. Offer expires 4/30/19. 0% APR FINANCE SPECIAL NEW 2019 JAGUAR XF 25T AWD! LEASE SPECIAL NEW 2019 JAGUAR F-TYPE CONVERTIBLE R AWD - ONLY 1 AVAILABLE! 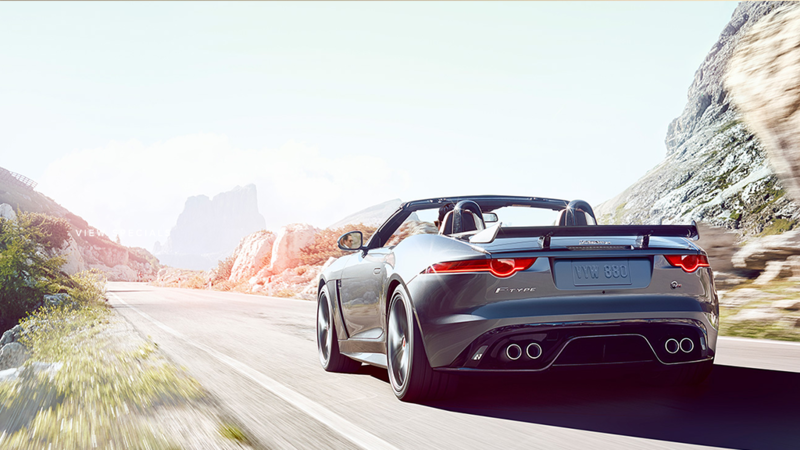 *Lease on 2019 Jaguar F-TYPE Convertible R AWD well equipped for 36 months. VIN#KCK58102 MSRP $109,278. Inception cost of $4999 with no security deposit due at signing excludes 1st payment of $899 up-front, negotiable conveyancing fee of $499, bank acquisition fee of $895, taxes and registration fees. 5,000 mi/yr. Residual $59,010.12. Available to qualified customers. See dealer for details. Photos for illustrative purpose only. Offer expires 4/30/19. 0% APR FINANCE SPECIAL NEW 2019 JAGUAR XJL XJ50 AWD! LEASE SPECIAL NEW 2019 JAGUAR XJL XJ50 AWD - ONLY 2 AVAILABLE! *Lease on 2019 Jaguar XJL XJ50 AWD well equipped for 39 months. VIN#K8W18236 MSRP $94,458. Inception cost of $4999 with no security deposit due at signing excludes 1st payment of $1099 up-front, negotiable conveyancing fee of $499, bank acquisition fee of $895, taxes and registration fees. Allowance Credit rebate applied as cap cost reduction. 10,000 mi/yr. Residual $34,949.46. Available to qualified customers. See dealer for details. Photos for illustrative purpose only. Offer expires 4/30/19. Applies to K8W18236 and K8W18363 only. DEMO SPECIAL 2019 JAGUAR I-PACE SE AWD - ONLY 1 AVAILABLE! 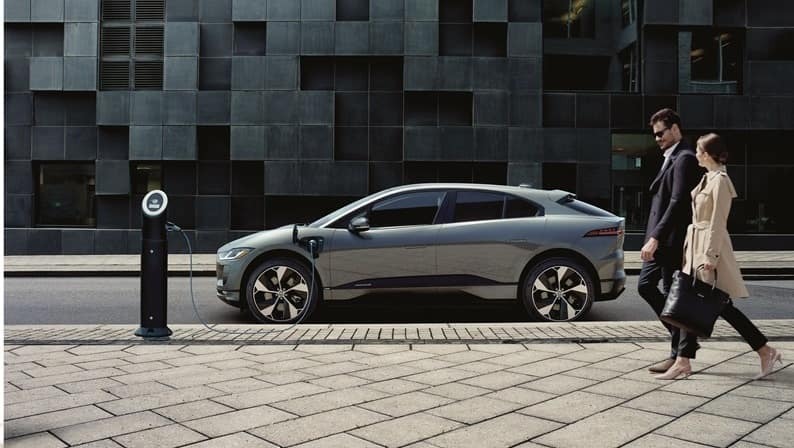 *Lease on 2019 Jaguar I-PACE SE AWD well equipped for 36 months. VIN#K1F69586 MSRP $86,697. Inception cost of $3999 with no security deposit due at signing, excludes 1st payment of $899, negotiable conveyancing fee of $499, bank acquisition fee of $895, taxes and registration fees. EV Tax Credit of $7500 applied as cap cost reduction. 10,000 mi/yr. Residual $36,432.25. Available to qualified customers. See dealer for details. Photos for illustrative purpose only. Offer expires 4/30/19.